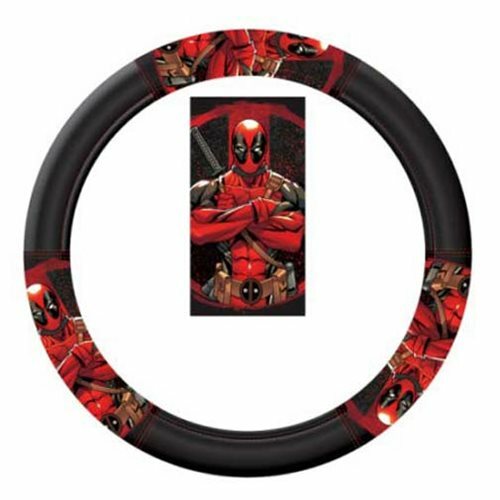 Mmmm yes… Deadpool likes it when you rub him all over, so get this Deadpool Repeater Speed Grip Steering Wheel Cover! It features images of the popular character standing with arms crossed in front of a large Deadpool logo. Embossed for durability and style, steering wheel cover boasts a comfortable leather-like feel. The molded core stretches snuggly around the steering wheel in seconds on most cars, trucks, and boats. Measures about 15 1/2-inches x 14 1/2-inches. Ages 16 and up.